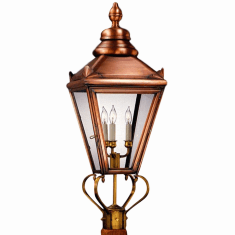 The Hampton Pendant Hanging Copper Lantern, shown in Dark Copper with Clear Glass, is our take on the traditional English street light seen throughout London. 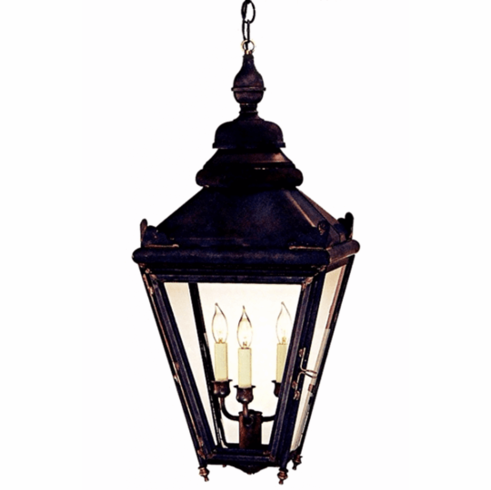 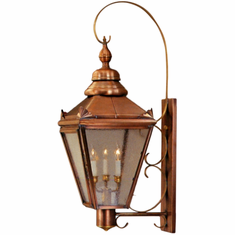 Rich in European detail but made in America from high quality brass and copper and designed to last for decades, The Hampton Collection is available in wall light, wall light with top scroll, pendant, pier-base, and post light versions in a variety of size, finish and glass options. 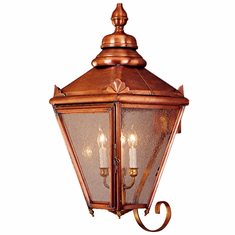 This classic style works well in Colonial, Colonial Revival, and Traditional style homes, lake homes and cabins.